Kudos to the Cincinnati Police Department for establishing the Military Liaison Group. This group will work in conjunction with organizations such as Battle In Distress, Veterans Court, the VA Hospital, and the Joseph House to assist returning soldiers during their transition back into civilian life. In addition, members will assist soldier’s families as needed during the time the officer is deployed. Although it is not fully clear, I believe this group will limit their work to returning veterans who are members of the Cincinnati Police Department. This project is commendable and support of this type should be considered through all City of Cincinnati Agencies, as well as the private sector. Support groups such as this are necessary and important for it seems that far to often American Service personnel are returned to civilian life and then forgotten by the United States Government. Many are suffering from Post Traumatic Stress Disorder, brain injury, and other forms of physical and mental trauma but are apparently abandoned by the country they have honorably served. Very often after a veteran is discharged and returned to civilian life they are forgotten. Jobs are scarce and frequently hiring entities no longer provide a veterans preference when selecting candidates. The inability to obtain gainful employment leads to a downward spiral that too often can end up in homelessness. It is estimated that on any given night between 50,000 to 60,000 veterans are homeless and on the street. This is truly our nation’s shame. Federal, State, and Local Government needs to step up and do more to assist returning veterans and veterans of all ages, regardless of when and where they served. 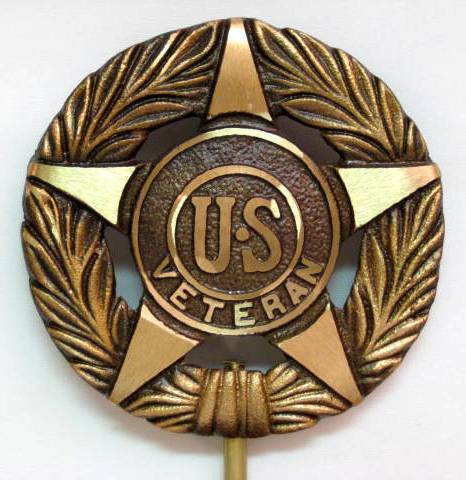 Substandard medal care in the Veteran’s Administration hospital system needs to be overhauled. Shameful, substandard care stories such as recently reported in Phoenix, Arizona are too often the norm. Better educational opportunities, better employment opportunities, better medical care, better housing opportunities should all be standard, not substandard. And much, much, much more should be done to address the homelessness in the Veterans. The next time you are walking downtown and are approached by a vagrant, before you avert your eyes or cross the street to avoid this person, ask your self who the human being is inside those shabby clothes. It is time we start to do more for our veterans. It is time to honor them 365 days a year, not just on November 11th. Please consider donating to projects such as Wounded Warriors. Remember every Veteran is somebody’s son or daughter, mother or father, brother or sister. Treat them with kindness, treat them with dignity, treat them with respect. Have you hugged a Veteran today? Thank you for reading the blog. Please considering commenting, subscribing, liking, and sharing.